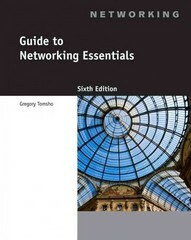 Guide to Networking Essentials 6 Edition GUIDE TO NETWORKING ESSENTIALS provides both the knowledge and hands-on skills necessary to work with network operating systems in a network administration environment. By focusing on troubleshooting and not on an exam, this book offers a comprehensive introduction to Networking and to advances in software, wireless and network security. Labs are directly integrated in each chapter to allow for a hands-on experience in the classroom. Updated content reflects the latest networking technology and operating systems including Windows 7/Server 2008 and Linux. Proven pedagogy and comprehensive, non-exam-focused format provides a compelling introduction to network administration.